This picture was taken in the garden of our house in Hillcrest in Bedwell. This was taken around 1960 before we moved to Made Feld. 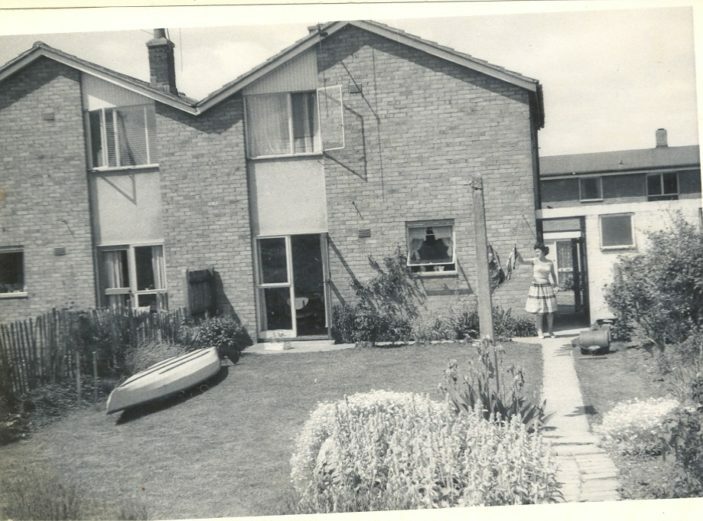 My father bought a canoe before he was interested in sailing and we spent many a happy Sunday afternoons on the rivers around Tempsford and Bedford. Moving up from London this was wonderful. Good Days in Stevenage. This page was added on 07/02/2012.